There have been plenty of developments lately with Singapore Airlines and SilkAir over the year. 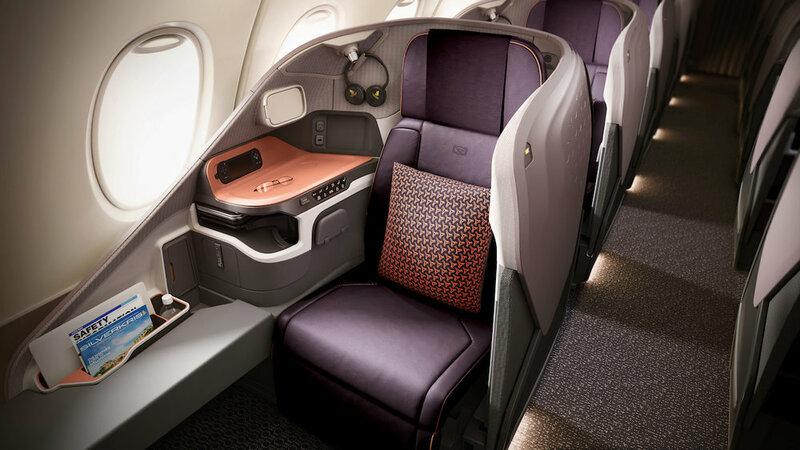 For starters, Singapore Airlines unveiled brand new cabin products on their new A380s and they have also made award ticket redemption with partner airlines possible online (alongside an increase in required KrisFlyer miles for award tickets on Star Alliance carriers). Singapore Airlines and SilkAir has now issued a joint media release to introduce a brand new airfare pricing structure that will begin next month alongside revisions to advance seat selection, FFP mileage accrual rates, baggage allowances as well as the modification component on some fare types - find out about all the changes below! Click HERE to find out more about the upcoming Fare Type changes! Gone are the Super Saver or Saver days on Singapore Airlines - you will now have up to three different airfare types depending on the class of travel. Lite (being the cheapest and most restrictive), Standard and Flexi airfares will have a combination of fare, feature and flexibility options to provide clearer choices to customers with different travel needs. The good news is that there will no longer be 10% accrual rate when you fly on 'Super Saver' tickets from 20 January 2018. As you may already know, Fare Classes K and V give you only 10% mileage accrual (even though you do benefit from a decent discount!) on the KrisFlyer programme at the moment - this will be bumped up to 50% from 20 January 2018. On the whole, the new mileage accrual rates look pretty good even though there are going to be decreases in certain fare classes but if you travel in the Business and First Class cabin - expect to see more KrisFlyer miles coming your way in the year ahead! Also, if your company is enrolled in the HighFlyer corporate FFP, do note that HighFlyer points cannot be accrued on Economy Lite (Fare Class K,V,N,Q) fare types. There are no changes to the number of miles required to upgrade your flight (e.g. upgrading from a Economy Flexi ticket to Premium Economy will still cost the same after 20 January 2018) but you will also be able to upgrade Economy Standard tickets at a premium - this was not allowed previously! The new upgrade charts have been published and they are slightly more complicated since there are now different requirements based on the fare class that you have purchased your tickets in. 'Standard' award tickets have also been renamed to 'Advantage' award tickets. If you are thinking about redeeming an Economy Class ticket (and you should not but there are exceptions), do note that the conditions for advance seat selection and checked baggage allowance will vary based on whether you chose 'Saver' or 'Advantage' tickets. Zone 14 is removed from the upgrade chart. One major change to the this however is that Premium Economy Standard (Fare Class P) and Business Lite (Fare Class D) fares will no longer be eligible for redemption upgrades. Fees for award tickets as well as redemption upgrades will be increasing from 01 March 2018. Currently, KrisFlyer members do not need to pay for any date changes on SQ/MI award tickets. However, moving forward, a USD 20 fee will apply to all award tickets redeemed under the Saver rates (which is the only rate you should ever consider). Additionally, route/cabin/award changes on SQ/MI will increase by USD 5. The greatest increase to take note however is how much it will actually cost for you to redeposit all of your miles - it currently costs only USD 30 for all members (USD 15 for elites) but it will cost up to USD 75 for saver award tickets. No-show fee (which applies on top of the aforementioned fees) will also increase from a flat USD 75 all the way to USD 300 (for First Class award tickets). Baggage Allowance remains largely unchanged across all cabin and fare classes but PPS Club members will now enjoy a little more baggage allowance (from 30kg to 35kg) if they are traveling on one of the Flexi Economy Class tickets. All tickets that are issued prior to 20 January 2018 will follow the old fare conditions and therefore the mileage accrual rates for these tickets still follow the old structure. On the whole, I think this is a commendable move (especially with the increase from 10% to 50% accrual rate) and it is great that Singapore Airlines and SilkAir are both taking a step towards making the conditions of each fare class clearer and cleaner. It's a shame however, that you will no longer be able to upgrade your tickets from from Premium Economy and Business if you have purchased a 'Lite' fare. Additionally, the huge increase in fees relating to the redepositing of miles will also deter travellers from making advance and unconfirmed travel plans.